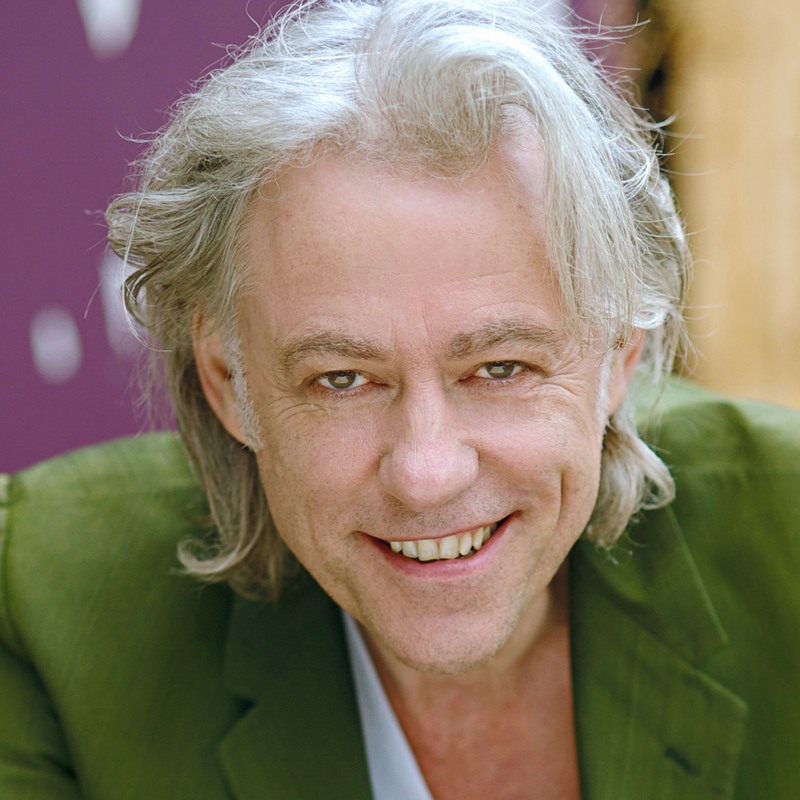 Bob Geldof rose to prominence as the lead singer of the Boomtown Rats with iconic tracks such as ”I don’t like Mondays’ and starred as Pink in Pink Floyd’s seminal 1982 movie The Wall. His musical talents and political activism have fused with his extensive charity work, which began with his co-founding of the supergroup Band Aid in 1984, when he helped to raise funds for famine relief in Ethiopia. This was followed by the Live Aid charity super concert and the later Live 8 benefit concerts of 2005, where Geldof performed the ”Do They Know It’s Christmas’ single, which he had co-written. His services to music have been recognised by a Brits Award for Outstanding Contribution, he has been nominated for the Nobel Peace Prize and the importance of his activism has been underlined by a Man of Peace Award and his seat on the Africa Progress Panel.